Motorcycle towing requires a very specific skill set that our highly-trained, certified technicians are ready to apply in their efforts to assist you. 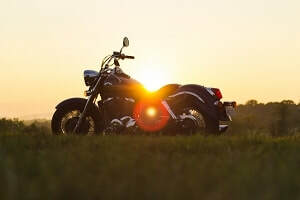 We understand that motorcycle towing is something that is not to be taken lightly due to damage that could be caused during the towing process. Whether you need roadside assistance or transport for a race or repairs, our team of friendly professionals is ready to transport your vehicle any time you need us, swiftly and safely. Nashville Tow Truck Service understands how important motorcycles are to their owners and we are committed to providing the highest quality towing services. At Nashville Tow Truck Service, our certified operator technicians have the experience and the expertise to safely transport your motorcycle to the proper destination in a way that will keep your mind at ease. We are familiar with most makes and models and we are prepared to transport a wide variety of motorcycles. We have the capability of transporting a several motorcycles at a time as well. Our tow trucks are specially equipped to transport motorcycles in the safest way possible to ensure that we maintain the integrity of the bike. Our team of operator technicians makes sure that they are always educated on the best ways to transport any type of motorcycle they are asked to assist with. Our company operates on the understanding that we provide excellent service at affordable rates. Our company’s rates are highly competitive with other towing service companies in the area. We are committed to giving you the best motorcycle towing experience at a price that will make you smile. As always, we offer 24-hour service to assist you when you need a transport service for your bike. Whether you need motorcycle towing for an emergency, transportation for repairs, or transportation for an event, our towing technicians will load up your motorcycle in a safe manner to maintain the integrity of your bike. We are devoted to giving you quality service and to fully explaining our knowledge of motorcycle towing in a pleasant and friendly manner. We are prepared to answer any questions that you may have about how we tow motorcycles. We are truly passionate about taking care of the motorcycles in our care, as well as the owners of those motorcycles. Our high standards for transporting motorcycles are applied to the quality of the equipment we use, our knowledge and expertise of motorcycle towing, our capability to tow a wide variety of vehicles, and our dedication to all of the riders in and around Nashville, TN. We are committed to being available for you at any time so that you can safely transport your motorcycle to your intended destination with peace of mind. At Nashville Tow Truck Service, we understand that towing cars and towing motorcycles are two different scenarios entirely. That is why we also make sure that we stay up to date with how to effectively transport not just cars and trucks, but motorcycles as well. You can rest assured that your prized bike that you tirelessly work on, and invest time, money, and energy to maintain, is in the best hands with our professional operator technicians. Whether we are towing from the scene of a crash or we are towing your fleet of motorcycles long distance to a race, we promise to provide you with great service and peace of mind.